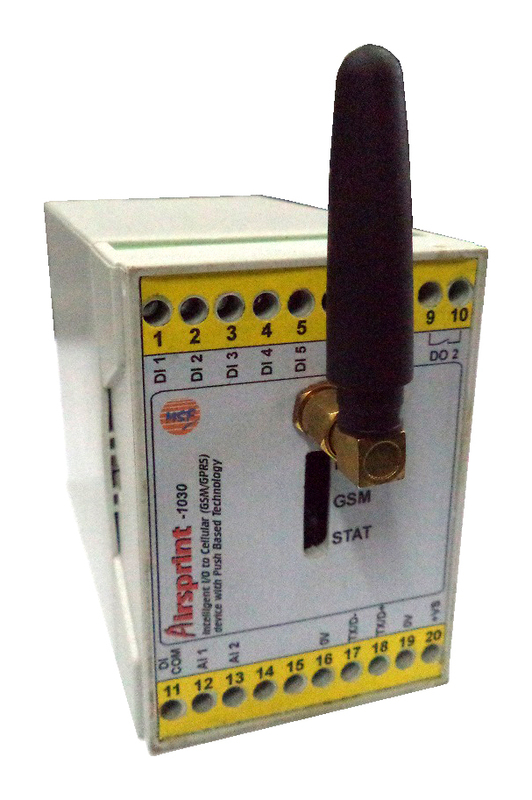 Airsprint -1010 is a rugged Industrial GSM/GPRS 2G Modem meant for generic use for sending SMS, data over GPRS & even email messages through simple ASCII AT Commands. 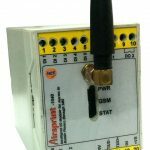 It can be used with Computers , PLC’S or even Microcontrollers using a standard RS 232 port. Interface Connector : Sub DB9-pin Connector, used for RS232 serial link connection. 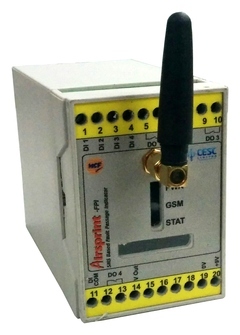 Airsprint -1030 is a rugged GPRS Telemetry Device meant for sending Digital Alarms/Events & Analog Data from AI channels and Modbus devices on RS485 to a SCADA server connected to Internet and having a Static IP . 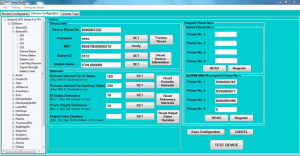 A GPRS to Modbus TCP/IP server software is provided so that any SCADA with Modbus TCP/IP driver can connect and access the field data. 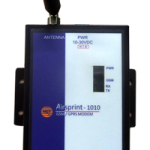 Airsprint -1040 is a rugged GSM Telemetry Device meant for sending Digital Alarms/Events to mobile phones through configurable SMS message . 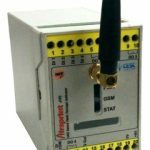 It is also used send the Alarms when Analog Values cross a predefined threshold . 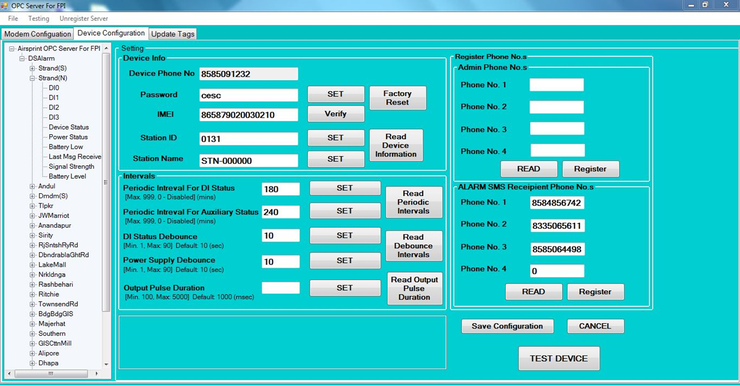 Commands can be sent from mobile phones to device through SMS for switching ON & OFF a Digital Output. 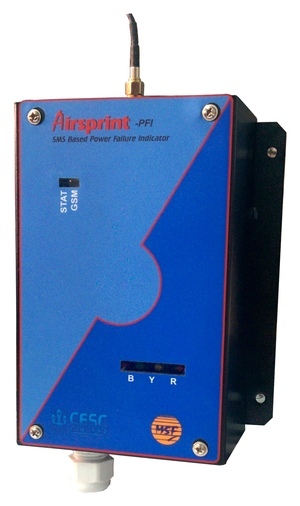 Airsprint -PFI is a M2M Telemetry device for indicating Phase failure in LT Networks . 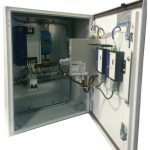 These can be installed in critical locations which need to have continuous power . 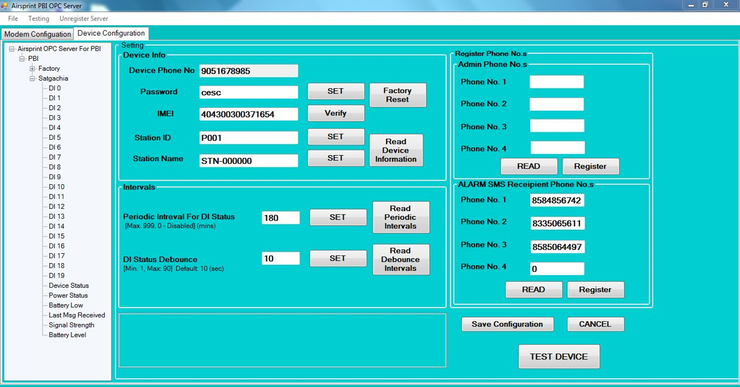 In case of a phase failure an SMS would be sent thru the GSM network to upto 4 predefined Numbers . 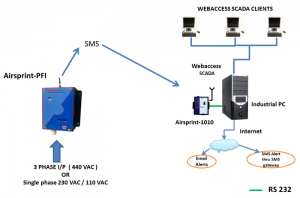 An OPC server is provided for interfacing to the SMS data received thru Airsprint GSM Modems on COM ports . 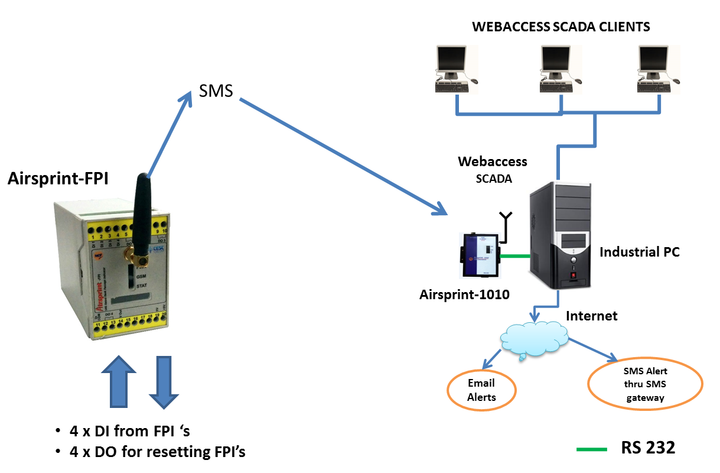 Any SCADA with OPC Client in the existing Control Room would be able to interface with Airsprint-PFI providing the necessary Alerts for the Operator to take corrective action. I/O Connection : Screw Terminals 22AWG . ( inside enclosure ) . IP65 11 mm gland provided for cable exit. 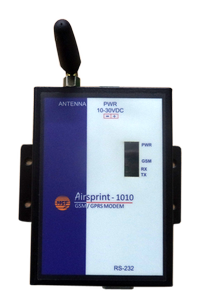 External GSM antenna 3 dbi with 3 mtr cable. 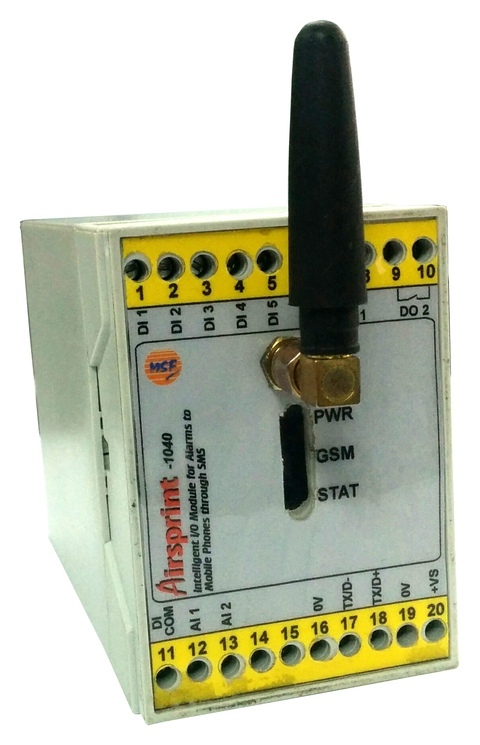 Airsprint –FPI is a GSM based telemetry device having 4 x Digital Inputs & 4 x Digital Outputs meant for M2M applications like reporting of upto four Fault Passage Indicators ( FPI ) to the SCADA system and resetting of the same from SCADA. 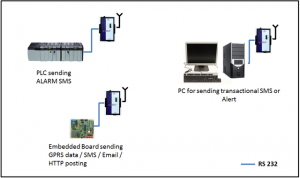 Change in Digital Inputs with preprogrammed time delays sends an SMS of all Digital Inputs to upto 4 SIM Numbers . In case of AUX power failure ,device can work upto 4 hours with full functionality on it’s internal battery . Power failure alert is also sent to the four numbers. 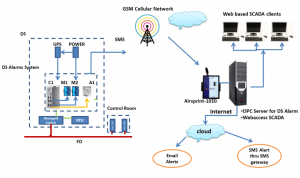 An OPC server is provided for interfacing to the SMS data received thru Airsprint GSM Modems on COM ports . 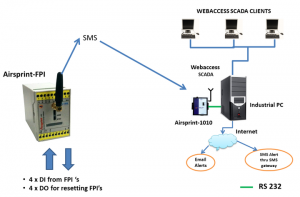 Any SCADA with OPC Client in the existing Control Room would be able to interface with Airsprint-FPI providing the necessary Alerts for the Operator to take corrective action. 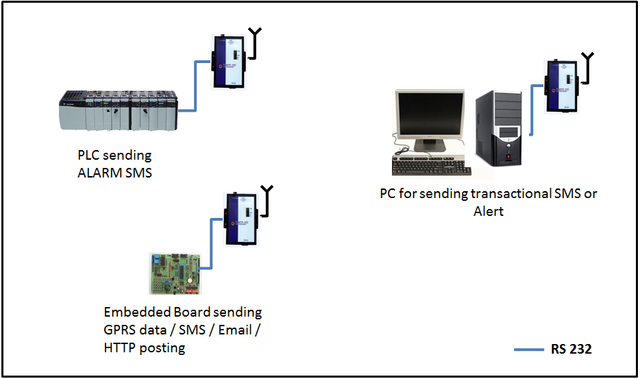 Change of Status reporting thru SMS is event based and can be additionally configured for periodic and command based . For FPI’s a single command can reset all the 4 FPI’s connected. 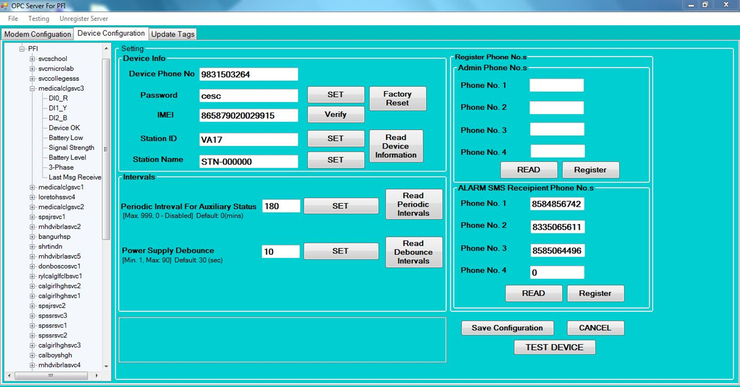 Digital Output with Settable Output Pulse Duration in msecs thru SMS for simultaneously resetting all FPI’s. 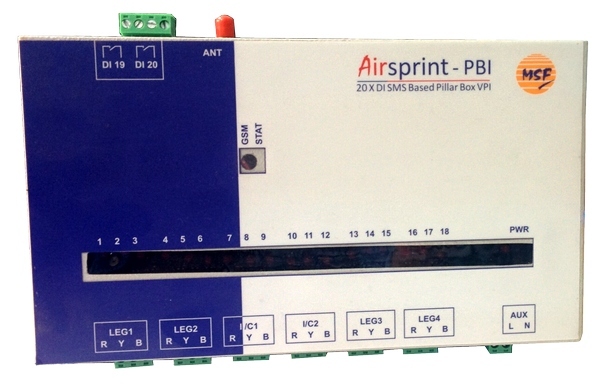 Airsprint -PBI is a M2M Telemetry device for indicating Phase failure in LT Networks . 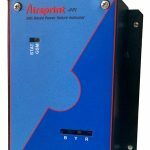 These can be installed in 4 way LT Pillar Boxes for detecting Voltage Presence in the Incoming & Outgoing lines . 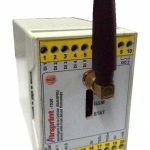 Door Open Limit Switch is taken as a contact Input to ensure there is no unauthorised opening of pillar box. 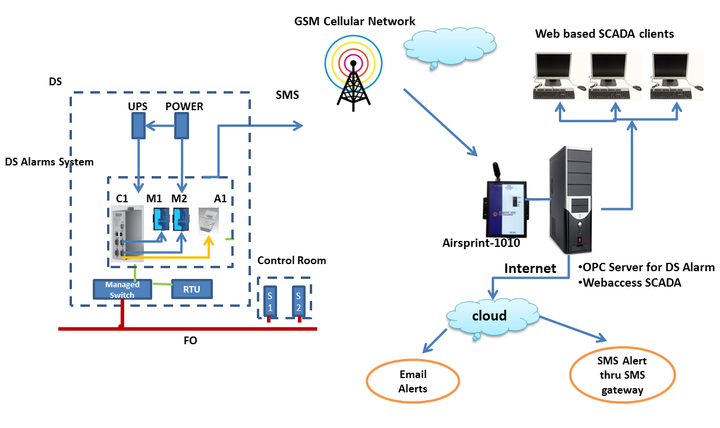 In case of a phase failure/ Door Open an SMS would be sent thru the GSM network to upto 4 predefined Numbers . 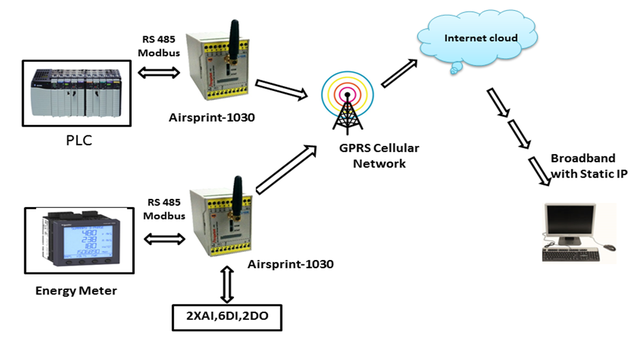 An OPC server is provided for interfacing to the SMS data received thru Airsprint GSM Modems on COM ports . Any SCADA with OPC Client in the existing Control Room would be able to interface with Airsprint-PBI providing the necessary Alerts for the Operator to take corrective action. SMS Alert on opening and closing of Door. 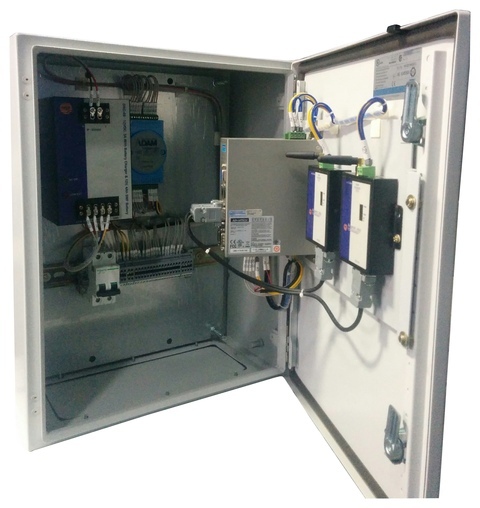 Airsprint-DS is a fall back for an unmanned Distribution station Monitoring System which relies on the FO cable connectivity to the control room for it to be functional. 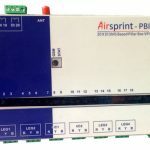 Airsprint-DS monitors the critical TRIP & NON TRIP Alarms, the common Alarm etc alongwith the Power Supply & UPS Status and the health of the Managed Switch, RTU & Server communication healthiness by pinging the above devices at regular interval. 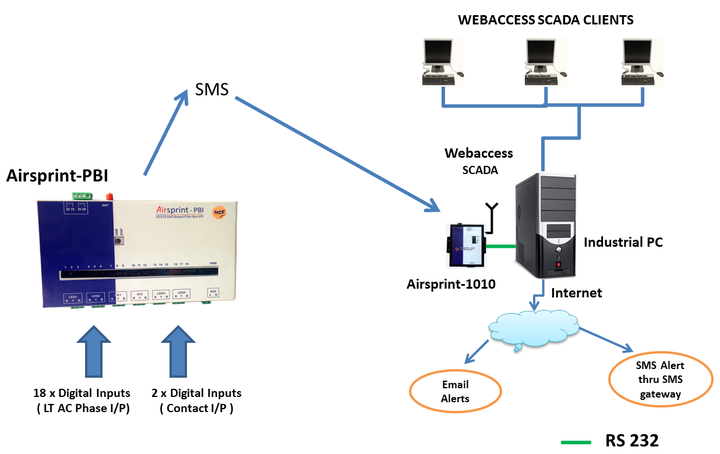 In case the FO cable fails , the Airsprint DS notifies the control room thru SMS and till the fault is rectified any other change of Digital Events are reported thru SMS to the control room where data is captured thru Modem . 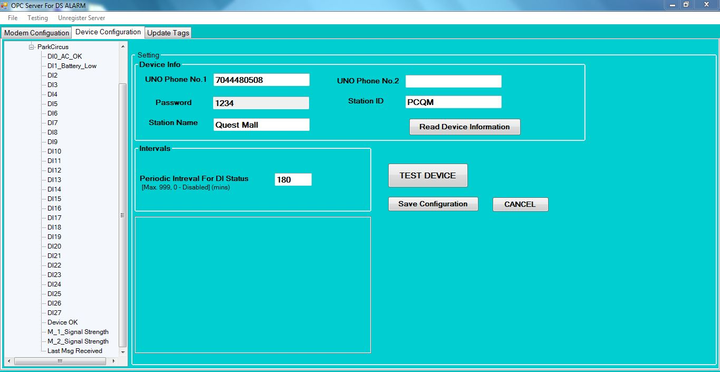 The OPC Server receives the SMS data and makes it available for the SCADA . The SCADA displays ,logs and reports the faults to designated users thru SMS & Email so that the right maintenance team is sent to site for repair work. Built in Battery Backup. Alarm on AC AUX failure and Battery Low. 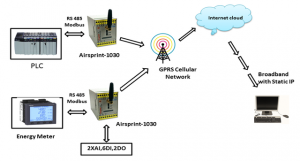 Redundant Modems for critical applications.